1. #Larimar Pack# has been added to the Mall. Open for a chance to get the Legendary MGL skin, Larimar. Come and try your luck! 2. #Black Friday# is coming. Get ready for the biggest sale of the year! On November 23, get 10% off new looks, 30% off other epic looks and 50% off your first Open x10 for all packs. One day only! (1) During the event, the in-game med kits will be replaced with delicious turkeys. 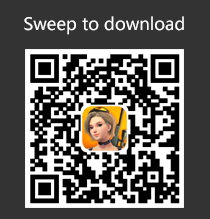 (2) Complete the daily missions to exchange fine looks! (3) #Native American Theme# looks are now available, come and try them out. 4. The all-new weapon, #Photon Emitter# has arrived! The Photon Emitter is great for close-range combat. Its bullets will home in on nearby enemies. (1) Fixed the issues that the AWP pull-bolt sound effect didn’t play during the pull bolt action. (2) Increased the animation refresh rate of the C111 Stinger’s lock-on effect, making it look much smoother. 6. With the arrival of Thanksgiving, explorers will enjoy a #G70% discount#l when creating a guild from after the maintenance of November 22 until before the maintenance of November 29. 7. We noticed that the ability to use the Springboard to sneak up on enemies without making a sound was too big an advantage, so we have added a parachute flying sound effect. Explorers can now hear if another explorer is using a parachute to get close to them. (1) Optimized the lower left corner Traps &amp; Gadgets interface, making it more convenient to use them. (2) Optimized the detailed weapon info page for high-resolution screens. (3) Fixed the issue that the resource counter in the upper left corner was incorrect. (1) Optimize the front and back display logic of the travel path icons on the solo match over screen. (2) Optimized the display of the slogan on the team match over screen. (3) Added extra functions such as Add Friend and Like to the team match over screen. 11. Optimized the display for distant places on the classic map. Buildings will now be displayed even when very far away. 12. Replaced the Aurora Airdrop opening sound effect, so that it is more compatible with the opening time of the Aurora Airdrop. 13. Optimized the display order of weapon skins in the Gallery, making them more convenient to view. 1. New Map Carnival event officially launched! 2019-4-22 09:25 GMT-5 , Processed in 0.025390 second(s), 24 queries .